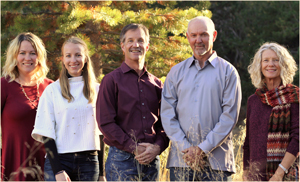 Home > Testimonials > Rick & Debbie B.
Matt worked with us to find our house in Tahoe Donner four years ago, and recently to purchase a lot in Gray’s Crossing. We can’t say enough about Matt’s knowledge of the area, professionalism, honesty and loyalty. He was available to us any time we had questions and truly went above and beyond to make sure we were well informed about the properties and the process. His familiarity with the area was a huge asset as we pondered the pros and cons of various developments in and around Truckee. We feel very fortunate to have developed a relationship with Matt over the years and will continue to do business with him in years to come.